If your company deals with the manufacturing and distribution of paints, we are sure you are aware that there are certain rules and regulations in place for paint storage and disposal. In addition, if you are a contractor, you deal with large volumes of paint on a regular basis, you must understand that your company should have a procedure established to deal with disposing of the paint once you no longer need it. Should your company be found storing and/or disposing of paint improperly, your business can be hit with major fines and penalties that will jeopardize the future of your business. In order to be sure that your business is always in line with environmental laws and compliances, trust Environmental Marketing Services to be able to provide your corporation with affordable disposal solutions. Paints come in many different forms, some of which include oil-based paint, water-based paint, latex, interior, exterior, matte, semi-gloss, and gloss paints. These types of are the most commonly known and used. It can be difficult to determine which type of paints are hazardous or non-hazardous. Many types of paints that are determined to be “non-hazardous” still contain additives and chemicals that can have an impact on the environment even though they are not considered to be toxic or dangerous. This is why all paints are labeled as hazardous, regardless of whether or not the chemicals found in the paint are enough to cause environmental harm. Reading the labels on the paint drums will give details on how to both store the paint, as well as how to dispose of it. If there are questions, have your company get in touch with us! When it comes to any type of paint, paint disposal facilities will typically classify all paint waste as hazardous. They do this for several reasons. For example, even if paint is labeled as non-hazardous or non-toxic, it may still contain small traces of chemicals such as (mercury, lead, chromium, cadmium, etc.) that can be harmful to the environment when built up over time. Other paints can be classified as hazardous due to their ignitability, or if they’ve been mixed with spent solvents. Solvents are most often used to clean equipment, and for stripping and thinning paints. The reason solvents are classified as hazardous wastes are due to their flammable nature, as well as certain chemicals found in them, such as acetone, methylene chloride, xylene, and toluene. If these paints are disposed of in small quantities, those chemicals may be harmless, but if you are a commercial auto body painter or furniture manufacturer, disposing of large quantities of paint waste must be handled properly to ensure protection of our environment and the animals residing in it. By classifying all types of paints as hazardous, this ensures that all paint is disposed of in accordance with the EPA guidelines, and that any impact on the environment is kept to a minimum. If your auto body shop, paint contracting, or furniture and cabinet business has large quantities of leftover paint waste (i.e. paint mixed with solvent), it is important that that paint waste is properly stored and disposed of. It’s essential that the containers of paint waste are properly labeled so the contents can be easily identified in terms of type, what kinds of components are included in the paint waste, and an expiration date if one is provided. The original label contains all of the information your company will need to provide to a cleanup team if there is ever a spill or any other issue where the paint has been spilled or the container damaged in any way. In order to avoid any possible violations regarding paint waste storage or disposal, it is imperative to make sure that the paint is stored in the proper vessel. This means keeping the original paint label intact. If the writing on the label is damaged or obstructed in any way, you may not exactly what chemicals you are dealing with. Always store all types of paint in their original containers. It is also stated in the OSHA guidelines that all chemicals (this includes paint) must have a matching MSDS sheet nearby in a clearly labeled folder. Oil-based paints are most often flammable. Various types of oil-based paints will have the words “combustible” or “flammable” written somewhere on the label. If this is the case, make sure your company carefully reads and understands the instructions for storage and disposal, to be sure that they are following the proper protocol. Since oil does not mix with water, oil-based paints will often require a solvent or mineral spirits to flush any paint gun lines to avoid contamination when changing colors, or to properly clean up the paint if a spill has occurred. Proper cleanup and storage instructions can be found in the MSDS sheets for that particular type of paint. If you are unsure of what type of paint you have, checking the labels on the container will help your company determine what kind of paint they are dealing with. In order to ensure that your company is following the proper protocol, contact Environmental Marketing Services to ensure that all of your paint waste is properly disposed of. We will be able to answer your questions about possible leaks or spills and what you should do to protect yourself and the environment. Unlike oil-based paints, most latex paints are water-based, and are easier to clean up than oil-based paints. Latex paints are most commonly used for painting furniture and cabinets. 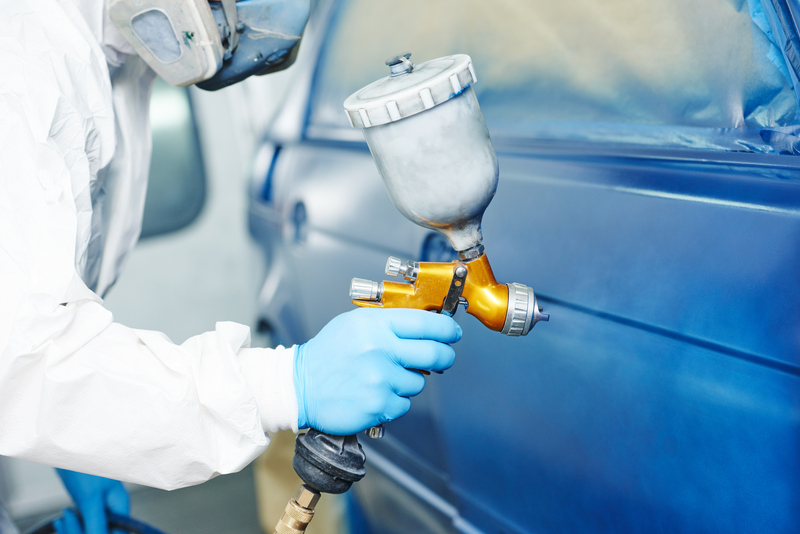 Since the auto body industry and furniture industry order paints in large quantities, commonly 55 gallon drums, it is likely that there will be paint left over and in need of proper disposal methods. If your company is no longer in need of this excess paint, it is important that they contact the proper paint waste disposal corporations to ensure that they are in compliance with any EPA guidelines. Don’t hesitate to reach out to us for more information on our paint disposal services! Not only is the proper storage and disposal of large quantities of paint crucial for protecting the environment, and your business, but the method of transporting all of the paint waste from your company to the correct disposal facilities is just as important. In order to be in compliance with any and all Federal Environmental Guidelines for the disposal of hazardous chemicals, any transporters of hazardous chemicals, including paint, are required to be in possession of comprehensive discharge insurance, in addition to general and automotive liability insurance. When you hire a waste disposal service to aid your company with all of its paint disposal needs, your company’s liability will be significantly decreased! Most importantly, you won’t have to worry about your company not being in compliance with federal laws and getting hit with possible illegal disposal practices. All of our transporters at Environmental Marketing Services are equipped with these insurances, making our customized paint disposal and management services a great choice for your company. Whenever you are considering how to dispose of a chemical or paint, be they hazardous or non-hazardous, you should always review and make sure that your employees are up to date on all of the current EPA guidelines. The Environmental Protection Agency has strict guidelines that everyone, businesses and consumers alike, must follow. Some types of hazardous materials require a special permit to be transported or disposed of. If a person or business is caught disposing of any type of hazardous or non-hazardous material in an improper manner, they can be arrested and/or fined. The penalties for improperly disposing of paint and paint materials vary from area to area. It is essential that you check with both the EPA as well as any local agencies when it comes to the laws in place for disposing of paint and other hazardous wastes. Proper paint disposal ensures that the containers won’t create any type of environmental hazard once they have been transported and properly disposed of. Because most types of paint can contain some form of toxic chemical, your best option is to leave the paint in its original container and call a professional waste disposal company, like Environmental Marketing Services, to come and pick it up. If you are looking for the proper information on how to dispose of your old or unneeded paint, give us a call and ask for a list of the protocols you need to follow for proper paint disposal. We offer custom paint disposal services for your paint manufacturing, auto body shop, or furniture company! We will be able to answer your questions and give you the information and services you need to remain in compliance with EPA guidelines and avoid stiff fines and penalties. 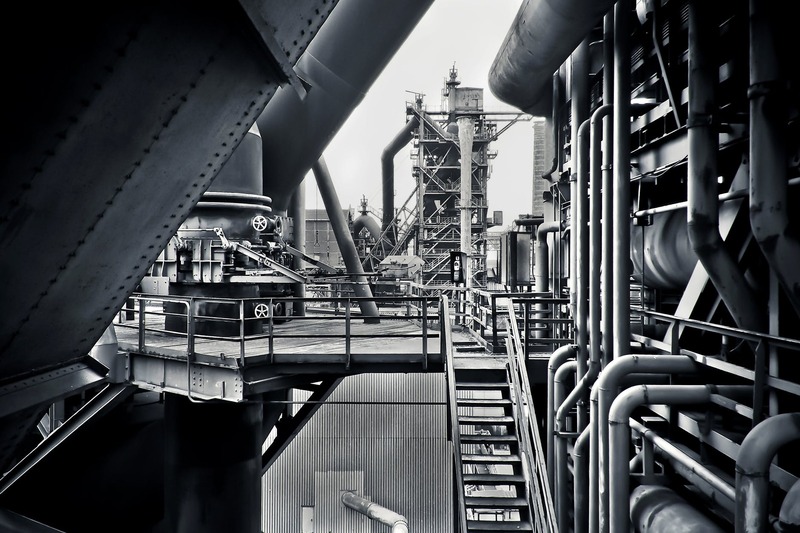 previous post: Is Your Chemical Company Following Proper Facility Decontamination Protocol?